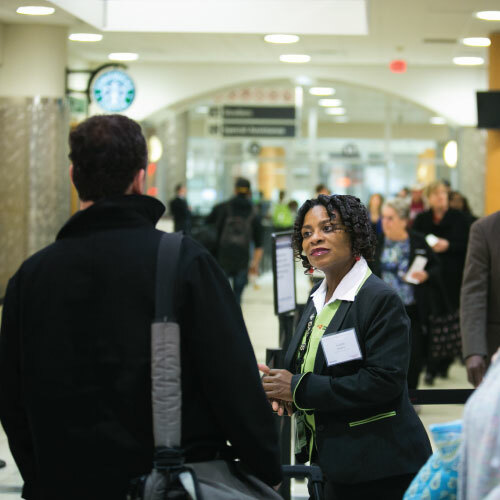 Hartsfield-Jackson’s 70-plus Guest Service Representatives (GSRs) are available throughout the Airport, answering questions, providing directions and guiding travelers at security checkpoints. Our GSRs are stationed at the busy west crossover to provide information on flights, ground transportation, hotels, conventions and general information about the city of Atlanta. They also assist travelers throughout the transportation mall as guests enter and exit the Plane Train. GSRs, recognized by their dark suits and lime-green vests, speak a variety of languages to cater to the Airport’s diverse traveling public. 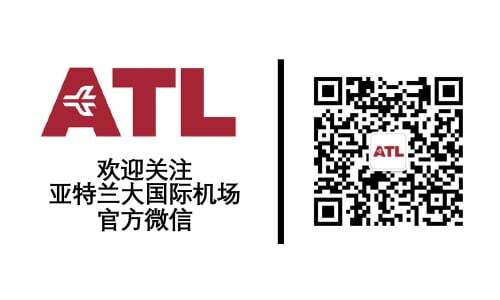 To learn more about the GSR program, call the Airport Employment & Training Center (AETC) job line at (404) 549-9248.